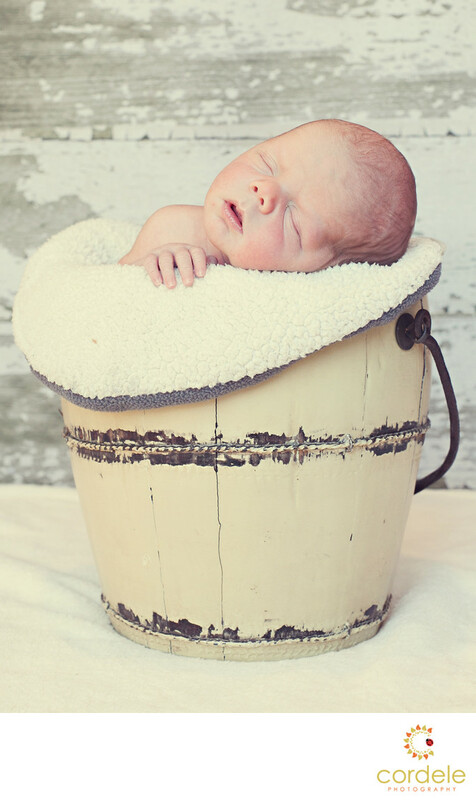 A newborn baby in a yellow bucket with a wood background. This baby was going to sleep through anything. We photographed this image in their kitchen. The dad was holding up the backdrop and the mom was holding the babies head to make sure he didn't slump or jump out of the bucket.